Are your overhead costs for your commercial building out of control? Some businesses may spend a lot of time looking at the expenses for their inventory, staffing and other line items while overlooking a growing energy bill. Your largest usage areas are typically ventilation and cooling, taking up a combined 43 percent of your electricity budget. Your heating is a full 80 percent of your natural gas allotment. So how can you start cutting back? The small things make a big impact in your office building's utility bills. You probably operate around standard business hours, but does your current HVAC system support automatically adapting to your heating and cooling needs throughout the day? When you time your thermostat based on your office's occupancy and needs, you stop heating and cooling the building after everyone's gone home for the night. Automatic shut-off switches for lights, workstations and other equipment cuts down on the time that they spend sitting idle. Poorly maintained HVAC systems won't operate correctly, which results in higher energy costs. Simple measures that you can take to address these problems include changing your filters on a regular basis and proactively fixing equipment problems before they result in a major failure. Not only do you get better performance out of your current systems with this approach, but you also extend their lifespan. Sometimes your HVAC system needs a full replacement, as it might be too old or damaged to help you get your costs under control. 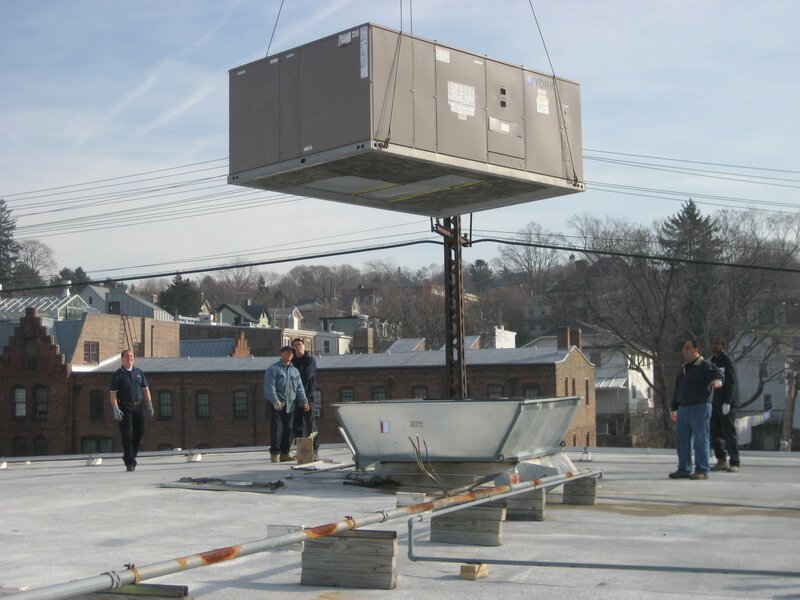 In many cases, it's more cost effective to do a full replacement than to try to keep up with mounting maintenance bills associated with older units. We sell green, high-efficiency models that help you lower your carbon footprint and reduce your company's energy bill at the same time. We use equipment that comes straight from an ENERGY STAR manufacturing partner of the year, and they're equipped with all of the features that allow you to reduce your energy costs and have consistent overhead budgets for your office. Get in touch to discuss how we can help you with your office building's heating and cooling dilemma today.